Are High Energy Bills The Key To Stopping Climate Change? Environmental campaigners have decided that the key to preventing climate change is not to focus on the natural impact, but something that everyone cares about – our energy bills. It makes sense – people are more likely to care about alternative energy and the environment if their gas and electricity bills are soaring through the roof. As a result, Greenpeace has urged UK Prime Minister David Cameron to “take personal responsibility for protecting consumers from high energy prices” and delivered a giant bill to energy giant Centrica HQ. Greenpeace aren’t the only ones who believe that global warming should focus on the economic cost. Environmental group 38 Degrees have noted that the monopolistic powers of the Big Six are driving up costs and climate change, and have even set-up a collective buying scheme to help people get cheaper gas and electricity. Other groups are focusing instead on using carbon taxes to tackle fuel poverty and produce lower bills. It is something that could have a major impact in both the US and the UK. 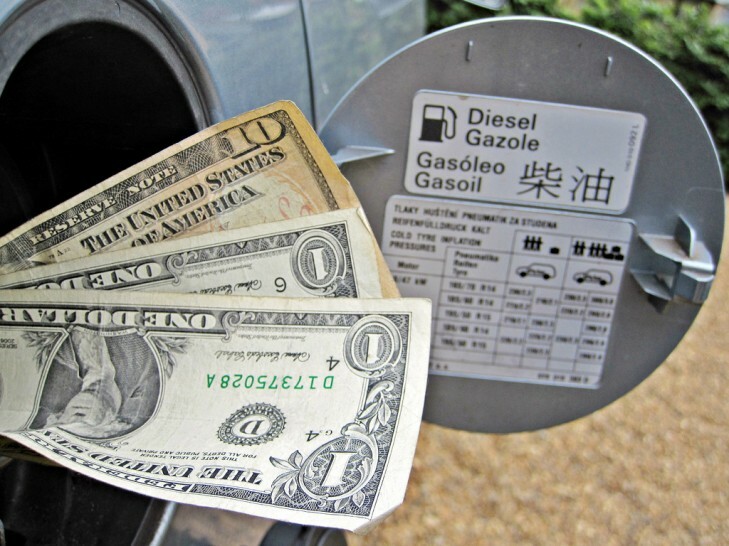 Currently in the US, the Obama’s administration green policies have come under fire from the Republican party, so perhaps an increase in energy prices will highlight the cost of rising fossil fuel prices. Of course, it could also backfire and strengthen the Republican’s campaign to drill in the Arctic and in the Alaskan reserves. Still, by focusing and taking advantage of anti-corporate sentiment, there is also the possibility to educate and empower the public through collective buying. The main problem is the general belief that ‘energy should be cheap’. This was seen most recently during the outrage in both the US and the UK over high fuel bills (interestingly the costs were MUCH higher in the UK). Fuel is a key part to any country’s economy, but by making it cheap, we are only increasing carbon emissions and accelerating climate change. Hopefully the world leaders will agree to this at Rio+20. Oh wait – David Cameron isn’t even going. Environmental campaigners have decided that the key to preventing climate change is not to focus on the natural impact, but something that everyone cares about - our energy bills. It makes sense - people are more likely to care about alternative energy and the environment if their gas and electricity bills are soaring through the roof. 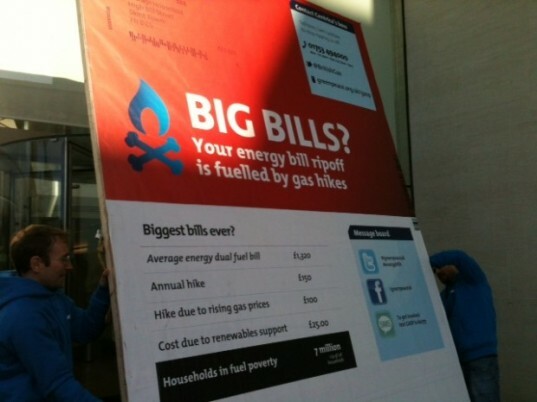 As a result, Greenpeace has urged UK Prime Minister David Cameron to "take personal responsibility for protecting consumers from high energy prices" and delivered a giant bill to energy giant Centrica HQ.